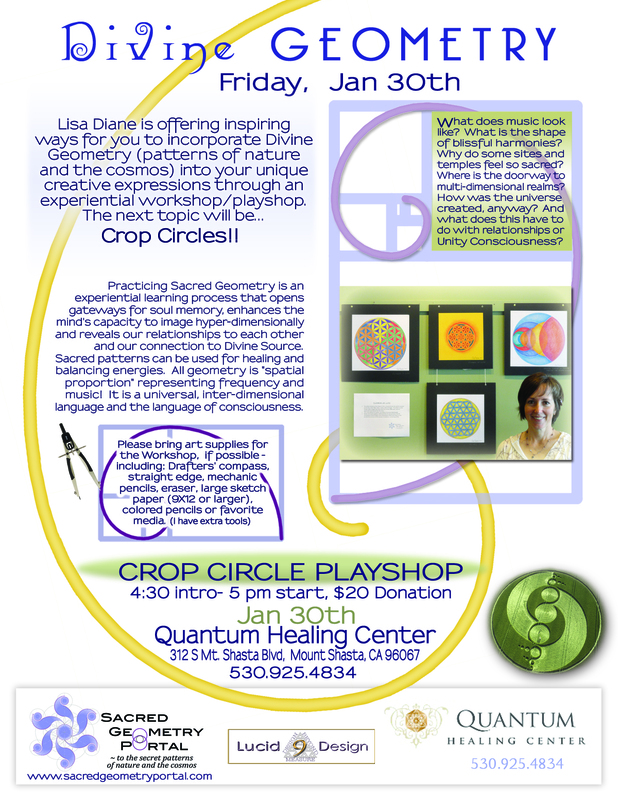 Lisa Diane is offering inspiring ways for you to incorporate Sacred Geometry (patterns of nature and the cosmos) into your unique creative expressions through experiential sacred geometry workshops events and classes that includes drawing with compass and straight-edge, creative art, heart-centered meditation and yantra practice, with some short presentations. What does music look like? What is the shape of blissful harmonies? Why do some sites and temples feel so sacred? Where is the doorway to multi-dimensional realms? How was the universe created, anyway? And what does this have to do with relationships or “unity consciousness”? Come discover for yourself! Practicing Sacred Geometry is an experiential learning process that opens gateways for soul memory, enhances the mind’s capacity to image hyper-dimensionally and reveals our relationships to each other and our connection to Divine Source. Sacred patterns can be used for healing and balancing energies. All geometry is “spatial proportion” representing frequency and music! It is a universal, inter-dimensional language and the highest language of the mind. 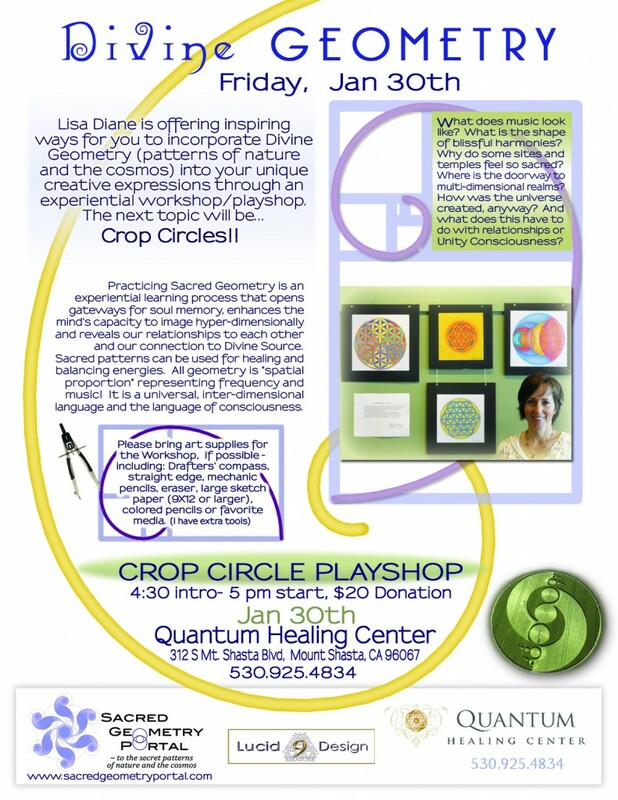 Currently, classes take place at the Quantum Healing Center in Mt Shasta, CA.